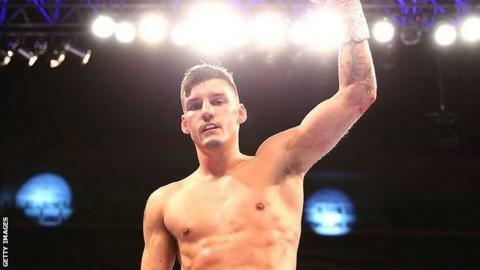 Nottingham boxer Leigh Wood says he is eyeing a British or Commonwealth title shot later this year. The 26-year-old will fight Isaac Owusu in Derby this weekend in his first fight since moving up in weight from super-bantam to featherweight. Wood told BBC Radio Nottingham: "My next fight could be an English title but I'd say slightly above, either British or Commonwealth I think. "I am always improving and fingers crossed something happens." He has already fought for a British title but was beaten by Gavin McDonnell in February of last year. Wood continued: "Hopefully I could get some sort of eliminator, maybe for a title, who knows? "I am always fit, I am always in the gym and maybe something will happen in September or October."